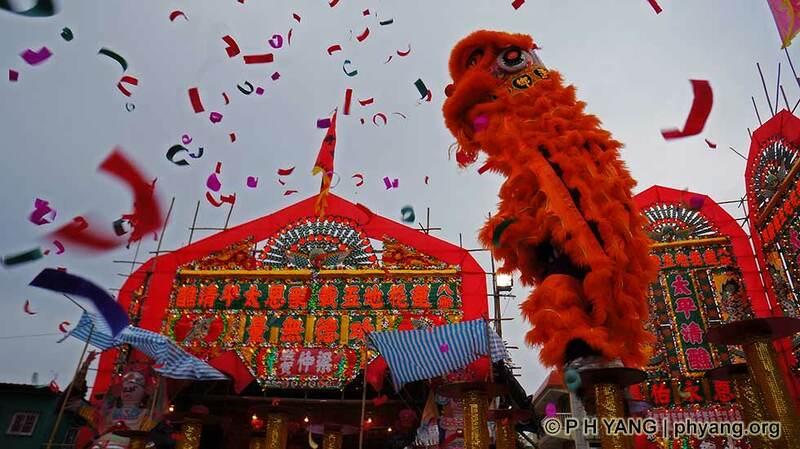 Golden Dragon dances and coils at Pat Heung (eight Villages) Ancient Temple. 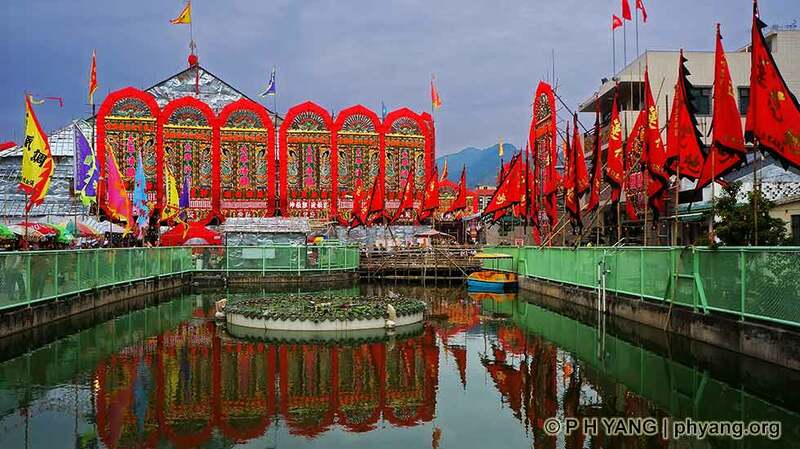 Traditional Chinese flower billboards for Tai Ping Ching Chiu besides the lotus pond. 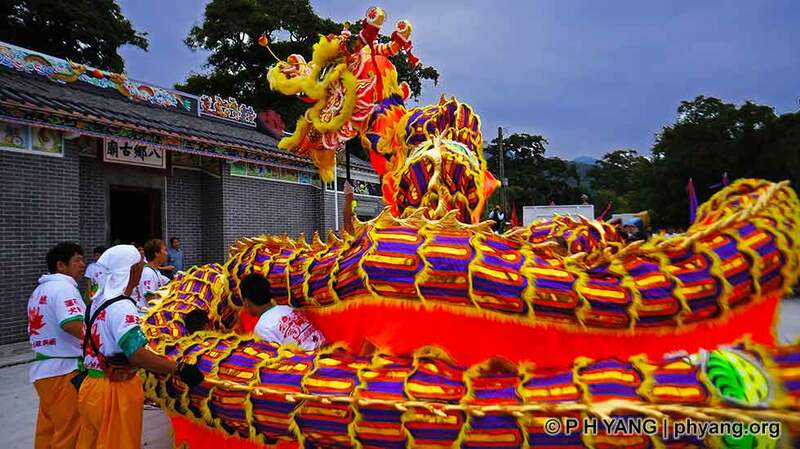 The festive parade, including Taoist priests, villagers in traditional clothings, dancing dragon and lions tour the neighboring villages. 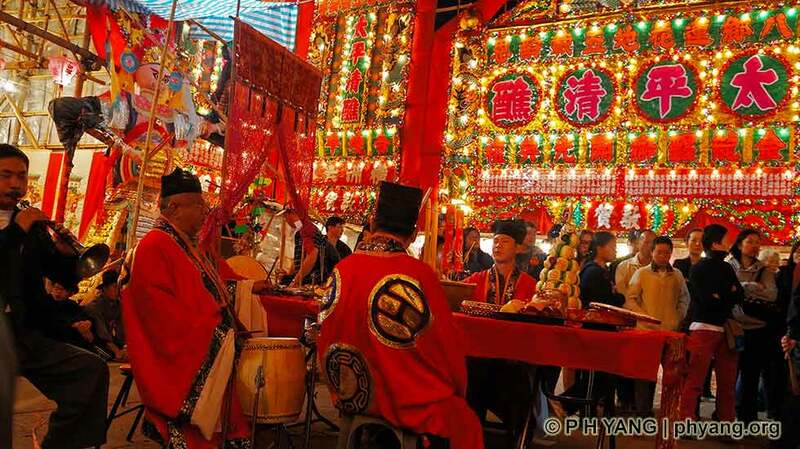 Cantonese opera performances day and night are a treat for the villagers, especially for the older generation. 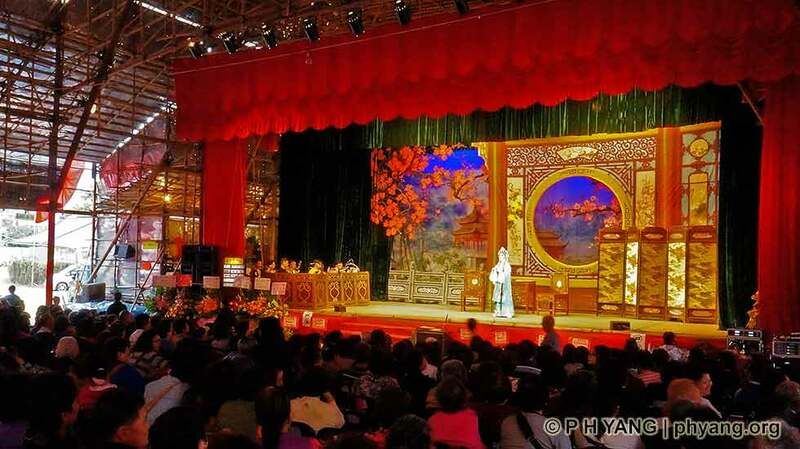 A theatre for Cantonese opera, built with bamboo and metal sheets in the traditional method, is packed to capacity. Lion dance with a twist - performed on elevated stumps with increased challenge. 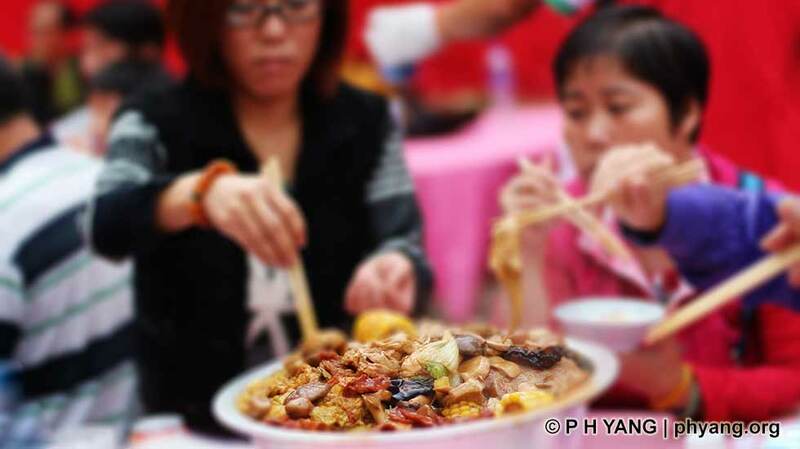 Villager Ah Ki and friends enjoying their traditional sumptuous vegetarian feast in a basin for purification. 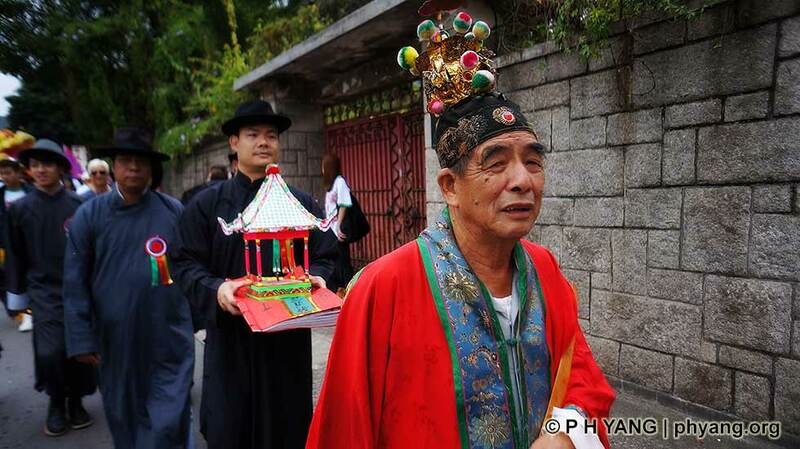 Taoist priests prays for salvation of homeless souls plus provision of food and clothing. 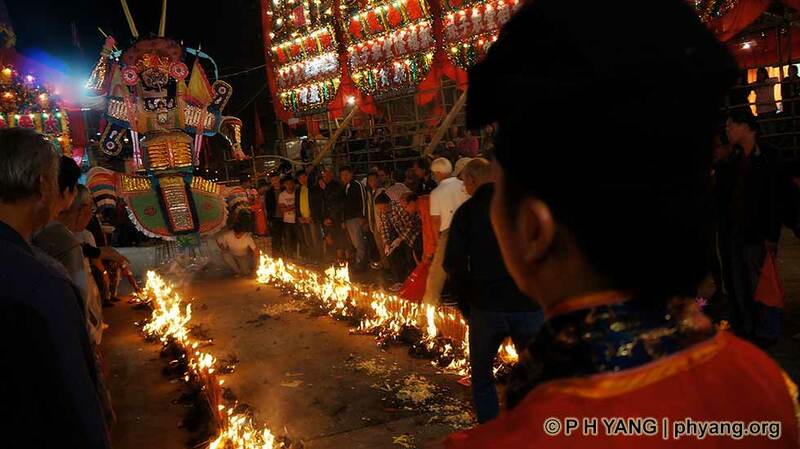 The Ghost King helps to control all the wandering ghosts after the gate of hell is opened. 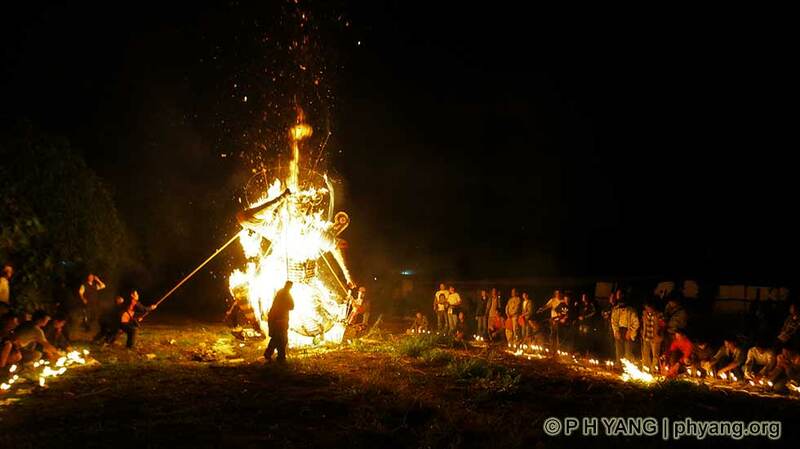 The Ghost King is sent off by burning it in front of villagers who offer wine and food as sacrifice.